It doesn't get much better than this. 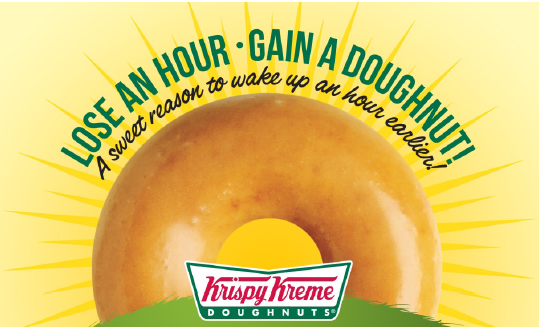 Go into Krispy Kreme today and get a free glazed doughnut to celebrate having to get up an hour earlier. As if we need an excuse to get one of their yummy creations. Go get it while its hot!